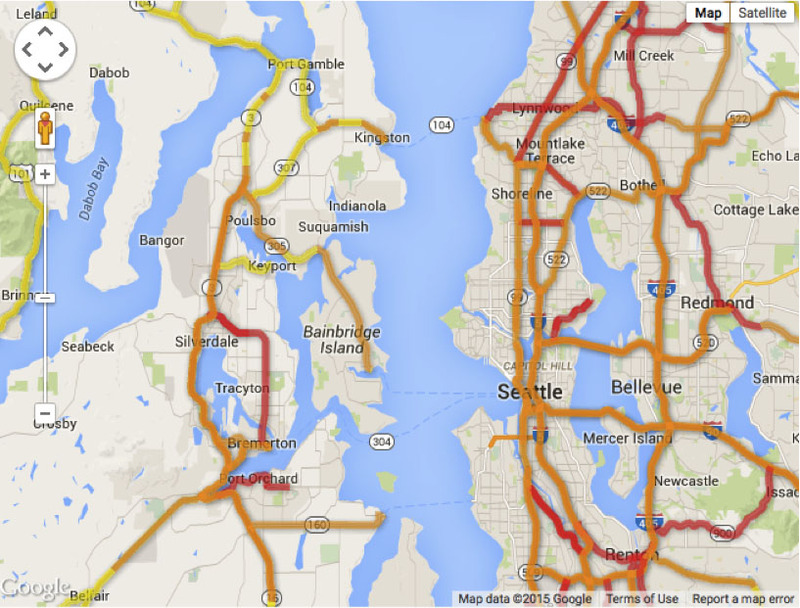 The Washington State Department of Transportation, congestion map. 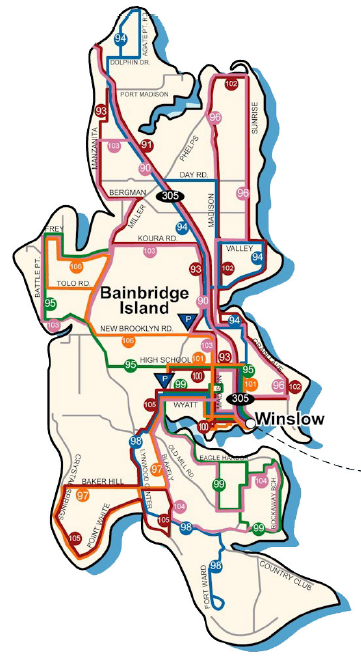 On a scale of A-F, Washington State’s Department of Transportation rates all of Highway 305 on Bainbridge Island a D, as well as the highway throughout Poulsbo. 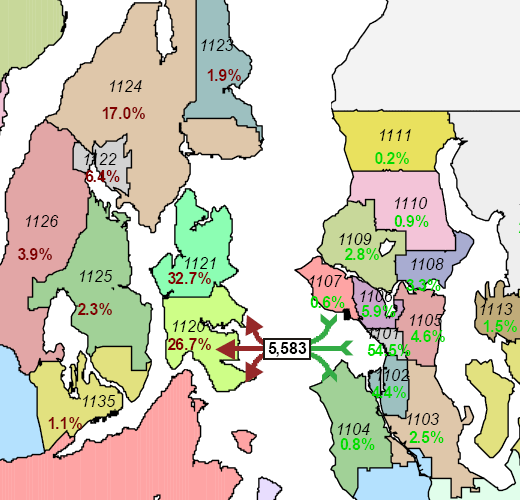 This is the same rating as I5, I405, I90, and WA520, which are known as some of the worst congested highways in the country.